If you're nervous about swimming, I'm the coach for you. I've spent over 10 year coaching Masters swimming, working with everything from Top Age Group Ironman athletes to people who couldn't get from one end of the pool top the other when they started. I will ease you into the water, showing you how to find your body's natural balance, and work on getting you swimming faster and farther than you ever thought possible. I will work with you on your bike handling skills and run technique too! Triathlon Coach who has been coaching for more than a decade, and holds CPR, AED, Standard First Aid & Safety certifications. Brian has completed over 130 (and counting!) races. 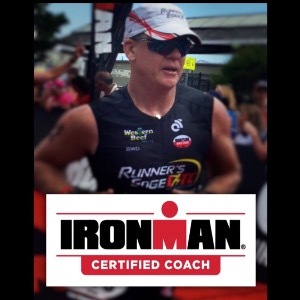 He has participated in the Leukemia & Lymphoma Society's Team-In-Training program, done Masters swim meets, Open Water races, Century Rides, 5Ks, 10Ks, 15Ks, half and full marathons, and Sprint, Olympic & Half Iron (IM70.3) distance triathlons. Success. Coach Brian Fallon has been notified of your message.